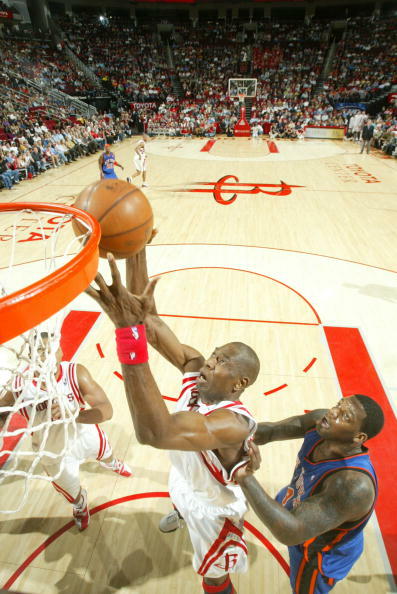 So, Question.... Will the Rockets make it to the playoff? I don't think anyone doubt the Rox getting in the playoffs. Most people were very paranoid of getting knocked out again the first round. 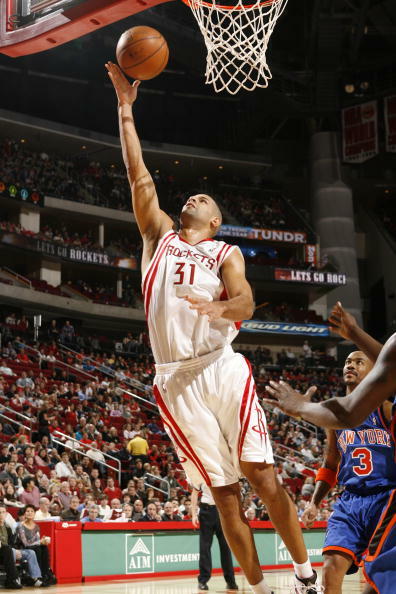 Now that I got a look at brooks, I'm re-energized on the Rockets. 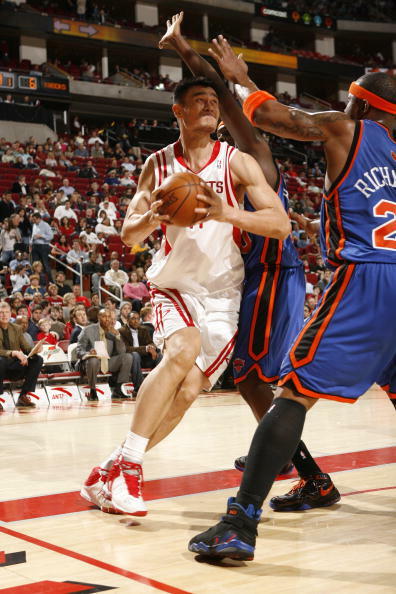 The guy has speed, great shot, and knows how to make an entry PASS to Yao. "Can we get to the playoff? Yes, we can. Will we get to playoff? I don't know." In other words, yes, I can. But if only I am willing. He tried tandem point gaurds. He tried tandem centers. 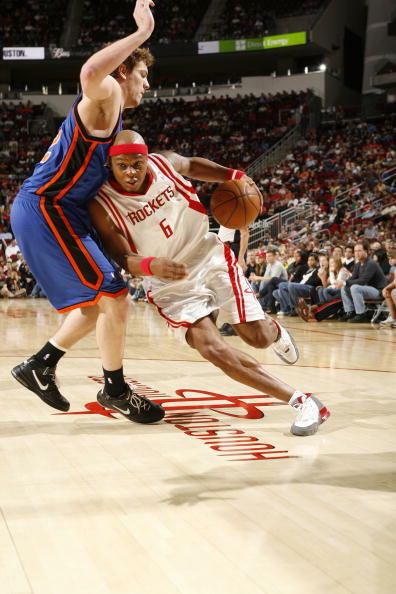 Didn't you realize that A. Brooks with Chuck Hayes on one side, Alston and Yao on the other side of the box? 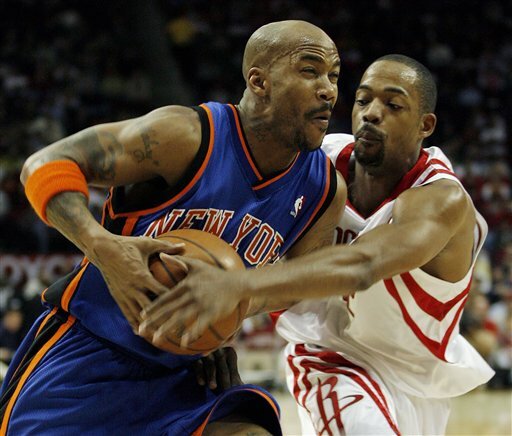 Balanced, motion oriented offense. 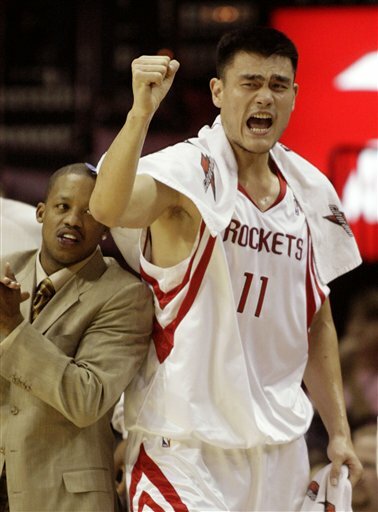 For Adelman's coaching, Yao is now all ears. Literally. John should be paid as an assistant coach on that one. The team has started to turn things around and is going in the right direction. However they will need to keep this momentum going. The goal is not just making the play-offs but winning. Brooks is the star of 4th quarter both yesterday and today. 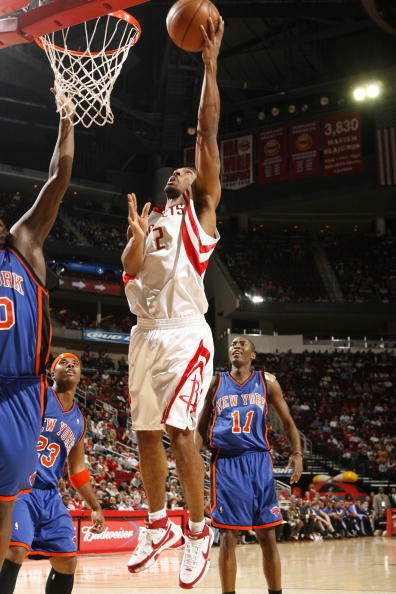 It's really important for the Rockets to be able to win without T-Mac in the team IMO. That way when he comes back he knows he'll have to try and be a PART of team instead of thinking he IS the team. No love from the Chinese reporters for Aaron Brooks. 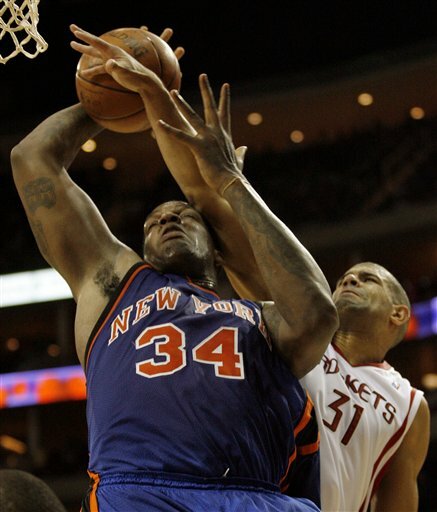 Not even one photo of him who was the difference-maker in this win over the hapless New York Knicks. don't forget deke, who was [;aying great D in the first half.